Description: The Upper Wattenburg Ranch lies in a scenic valley between Mt. Zirkel Wilderness and Sheep Mountain. The North Fork in this region has seldom been fished, and it has a healthy population of rainbows and trout averaging 10-14 inches. The property also has a small pond, which is suitable for children. 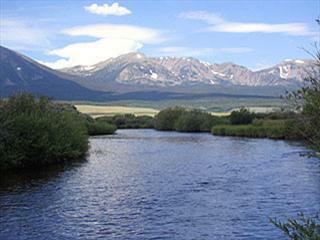 Location: This property is located in northern Colorado, approximately 15 miles west of Walden. Capacity: Limited to 3 anglers. A higher number is permitted if in one group.